A few stretches or warm-up exercises before your workout helps in ensuring a productive workout session. Ab stretches and warm-up exercises are quite important, as they help in waking up your muscles, so that you are able to do each exercise with the most muscle contractions. These stretches and warm-up exercises also help in assuring that you get the maximum range of motion for your movements. This will mean, you will be working out at your optimum best which will be good for your overall health and fitness. If you skip these warm-up sessions, there are chances you might injure yourself and experience pain. This is an effective abdominal stretch which helps in improving blood circulation and works out the respective muscles. You need to slowly breathe in and then tighten your abs. Now, slowly exhale and then lower your legs till they move around four inches from the floor. You can do as low as you are able to. Now, pause for a few seconds and then breathe in again. You also need to breathe out and raise your legs and get back to the start position. You need to repeat at least 10 times. This is an effective stretch for your abdominals and helps in improving the blood flow in your body. 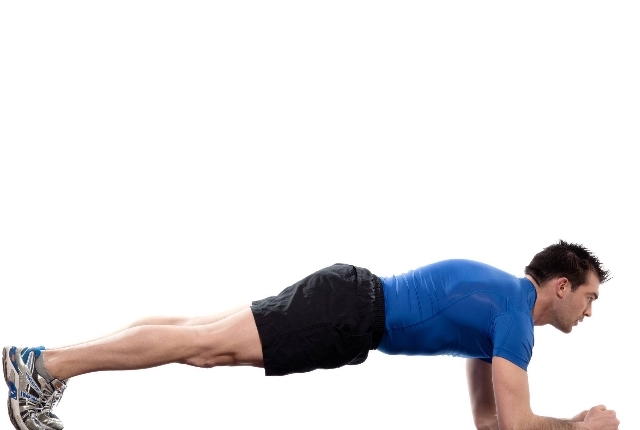 You need to do the workout, just as you would do a plank. The difference is that you will be pulling your feet a bit close near your hands. This will help in activating the hip flexors. You need to again lower the abs which will help in a deep muscle contraction. You need to do this workout by going at least 10 yards forward. You can again reverse the movement and go back at least 10 yards. Doing halos before you start your regular workout session helps to prepare your body for the next workout session. You will hold a light kettlebell in each of your hands. You can also nicely clasp the hands just over the head but without weight. You need to stand as you keep your feet at least shoulder distance apart. You will need to draw a circle just around the head just as a halo on your head. You need to do this at least 8 times. Do in all directions. This is a great way to stretch the abdominals and torso. You will let your hips swing a bit lightly along with your hands. This shall help in loosening the back muscles as well. You can shoot for at least 30 seconds or make 6-8 circles in a direction. Start the workout by standing comfortably as you keep your feet a little distance apart. Your arms shall be completely extended and right in front of you. Keep your palm together.As you keep the hips square and your core muscles engaged, you need to quickly rotate the upper body towards the right. 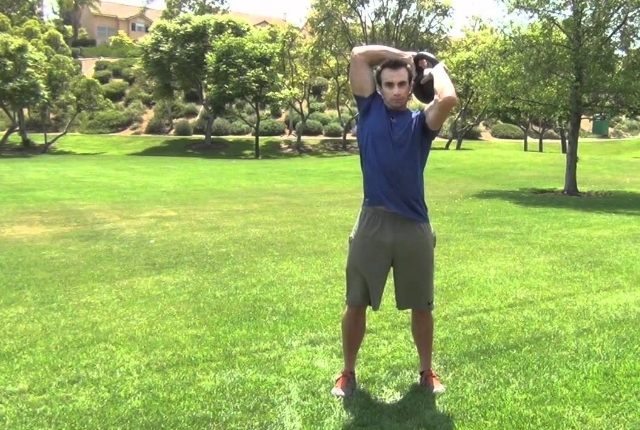 This will help in keeping the arms in a good line with your right shoulder. This shall be a single repetition. You can quickly reverse as you twist to the left so that now your arms are in a line with the left shoulder. You should be alternating quickly and do around 30-40 repetitions. This helps in improving blood circulation and keeps your body relaxed and comfortable. 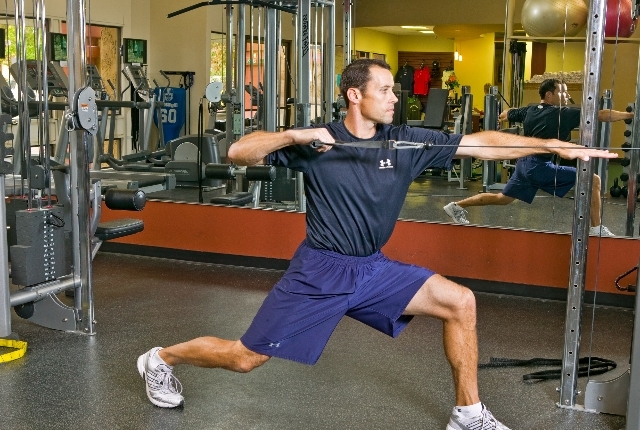 This is one of the easiest exercises to include in your warm-up routine. This will help in improving blood circulation and warm up your body for the training schedule. You will be crawling just like a bear in this workout. You shall lift your opposite foot and hand in this movement. You will notice that your core is showing good resistance to the urge to rotate or flex against any kind of instability which occurs. This exercise will help in reducing chances of injuries like sprain since your body gets into an exercise mood. This is an effective workout which helps in warming up all muscles. You need to stand comfortably, as you keep your hips a little distance apart. You can push away your right foot and turn your face to the left. You need to emphasise on your right glutes and also leg, as your body moves to the left side. Your hands shall be in a grip, just in front like you are about to swing a ball. You can now start with a shorter range till you feel a good warmth, rushing in the muscles. You can again increase your motion length as you get loose. You need to swing for at least 30 seconds as you start.